For two weeks in February it was all downhill for the Austrian town of Schladming, as the Alpine World Ski Championships provided thrills, spills and plenty of entertainment. Broadcaster Euro TV subcontracted Hannover-based TVN Mobile Production to supply outside broadcast facilities for the men’s course, which included a Yamaha CL3 digital system. 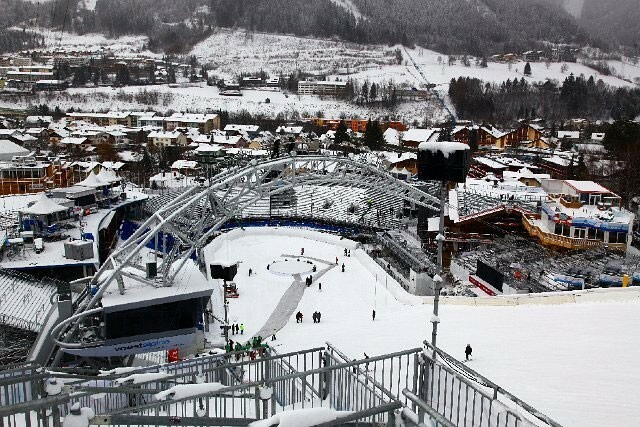 The Championships featured 650 skiers from 70 nations taking part in 11 events. 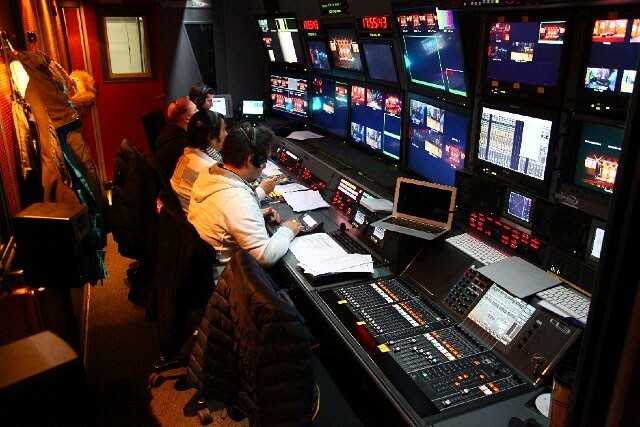 Including the opening ceremony and training runs, TVN delivered 50 hours of live production over 14 days. With over 100 microphones and 98 cameras, many located from the top to the bottom of the men’s course, the broadcast was both a technical and logistical challenge. TVN is renowned for providing cutting-edge technology and staff for broadcasting projects for nearly 30 years and the company installed the CL3 to handle submixes in its TVN-UE2HD High Definition OB van. "We chose the Yamaha CL3 Dante because of its flexible Dante connectivity and compact design," says TVNs Sound Engineer and Head of Audio Stephan Thyssen. Arthur Koll, Broadcast Sales Engineer (Commercial Audio) at Yamaha Music Europe GmbH, provided technical support as TVN set up the broadcast feeds, working closely with freelance engineer David Heuer who manned the console. David and Arthur were an integral part of the huge production for Eurovision 2011 in Düsseldorf, which featured over 20 Yamaha digital consoles. So, like the CL3, their working relationship was tried and tested. "I have used CL series consoles before and felt at home on them very quickly, but this was the most complex project I have used them on," says David. "The CL3 is an excellent choice for an OB facility - the small footprint fits very well in a situation where every bit of space matters. It was very easy to integrate into the U2 truck." The technical challenges of the production were considerable, with microphone signals needing to be relayed from the top of the ski runs and from ambient camera mics all the way down, with further ambient and presenter mics at the bottom of the hill. Adding to the broadcast complexity was that, as soon as one competitor finished the next started, meaning that the reaction of the skier who had just finished could have been missed as coverage switched to the next. To ensure that both were enjoyed by the Television audience, David and the CL3 handled the top half of the course, the audio signals being transmitted from two Yamaha Rio1608-D units by fibre optic, via 13 Riedel Mediornet units and MADI to the OB van, where it was recorded on to hard disk. 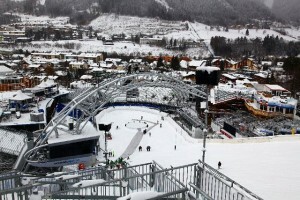 To accommodate footage of the just-finished skier, the broadcast directors showed a slightly shortened recording of the next competitor’s start, switching to live action as they progressed down the hill. "With 64 inputs, I had enough to create the necessary surround ambience for the races," says David. "The Premium Rack Dynamic EQ was invaluable. A camera helicopter was in use all the time during the races, so the Dynamic EQ was invaluable for filtering out the noise of it. I really like the visualisation of it as well. He continues, "The Custom Fader layer was also very useful. It meant all the channels I needed instant access to could be arranged in a logical manner, while the ability to set channel colours and use CL Editor for fast name editing and patching helped make the mix go smoothly. "Overall, everything worked perfectly throughout the Championships. The CL3 made it a very enjoyable job to do."